If you live in a city, a bike is one of the easiest, swiftest ways to get around. 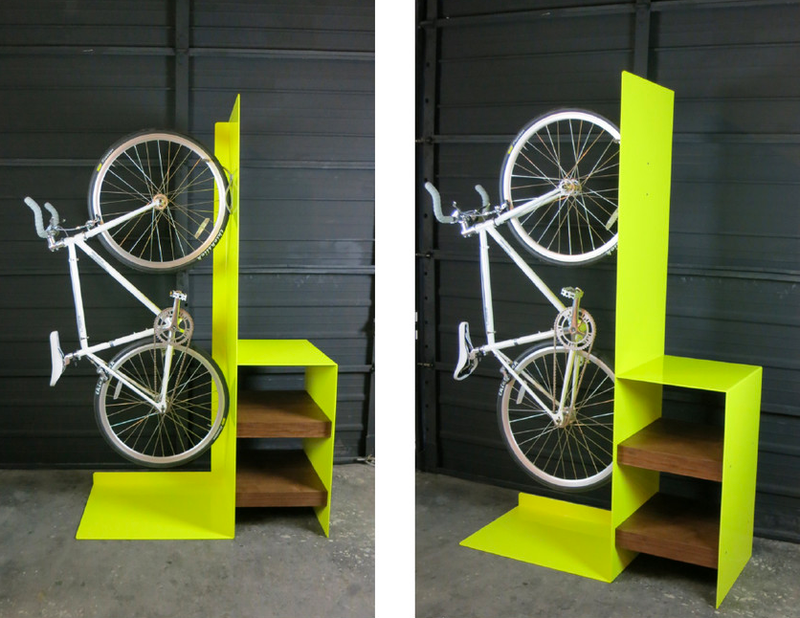 But storage is a big pain in a tiny apartment, and even a beautiful bike is not exactly a stylish piece of furniture. So this multi-faceted chartreuse shelf from Urbanspace Interiors is a thoughtful, space-saving way to stash your wheels in a compact corner or a narrow hallway.